A luxury stay in Coogee awaits you at Adina Apartment Hotel Coogee Sydney. Within a 5-minute stroll you'll find Coogee Beach and Prince of Wales Hospital and Community Health Service within a 30-minute walk. Highlights at this property include an indoor swimming pool. You can enjoy a TV with cable channels, and each apartment features a sitting area, WiFi, and in-room childcare. A fridge and a microwave make in-room dining convenient. Nice touches to enhance your stay include free toiletries and premium bedding. A coffee/tea maker, in-room massages, and a hairdryer are also available. This business-friendly apartment offers a fitness centre, concierge services, and a 24-hour front desk. Added amenities include WiFi in public areas and laundry facilities. There's also the convenience of self parking. With a stay at this 4.5-star Sydney Eastern Suburbs property, you'll be 2.2 km (1.4 mi) from University of New South Wales and 3.2 km (2 mi) from Royal Randwick Racecourse. The location of the Adina was great, clean rooms and helpful staff. Dear Guest, Thank you for taking your time to provide your feedback. We will share your feedback with the team and relevant department and we look forward to welcoming you back to Adina Apartment Hotel Coogee. Dear John, Thank you for your taking your time in providing feedback from your recent stay with us. Guest are most welcome to park their car prior to check as we have limited parking in front of the hotel. Parking rate offered is competitive within the area. Please do not hesitate to contact us should you require any further assistance. Dear Guest, Thank you for taking your time in provide us with a 5 star review. We look forward to welcoming you back to Adina Apartment Hotel Coogee. great location, friendly staff, clean and good amenities. the odd rogue ant may appear in the kitchen. An excellent place to stay and all the facilities required. Parking fee of $25.00 per night was expensive. 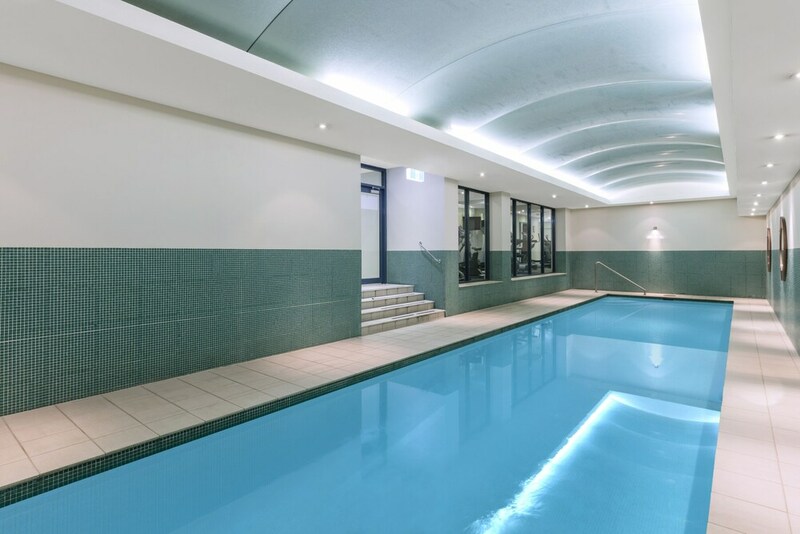 Adina Apartment Hotel Coogee Sydney offers its guests an indoor pool and a fitness centre. Public spaces have WiFi for a fee. Tour or ticket assistance, multilingual staff, and a garden are also featured at the luxury Adina Apartment Hotel Coogee Sydney. For a fee, parking is available. This 4.5-star Coogee apartment is smoke free. Adina Apartment Hotel Coogee Sydney offers 86 forms of air-conditioned accommodation with coffee/tea makers and a hairdryer. This accommodation offers separate sitting areas. Beds feature premium bedding. Televisions come with cable channels and pay-per-view films. Fridges and microwaves are provided. This Coogee apartment provides wireless Internet access for a surcharge. Business-friendly amenities include desks and telephones. Additionally, rooms include an iron/ironing board and free toiletries. Housekeeping is offered on a daily basis and in-room massages can be requested.